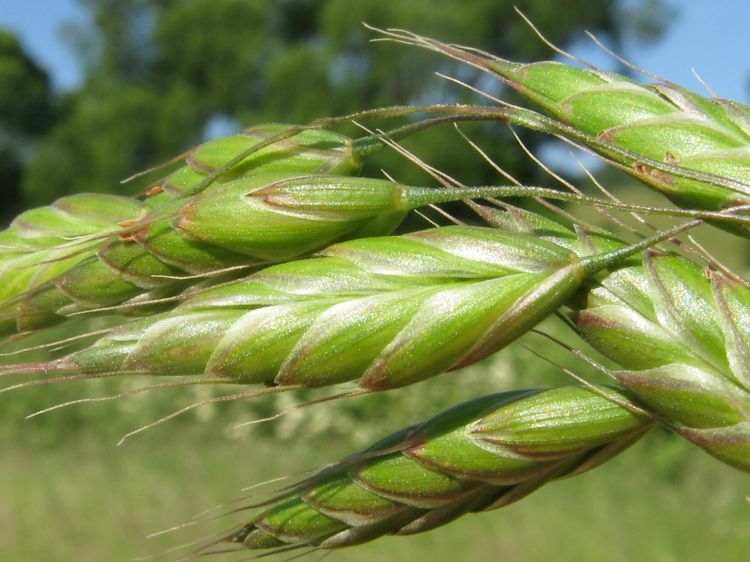 Bromus commutatus. By Donald Cameron. Copyright © 2017 Donald Cameron. New England Wild Flower Society. gobotany.newenglandwild.org (Accessed 11/2017). Bromus commutatus is an annual C3 grass (Waller and Lewis 1979), 30 cm to 1.2 m tall; lower sheaths finely hairy; ligules 0.1-0.2 cm. 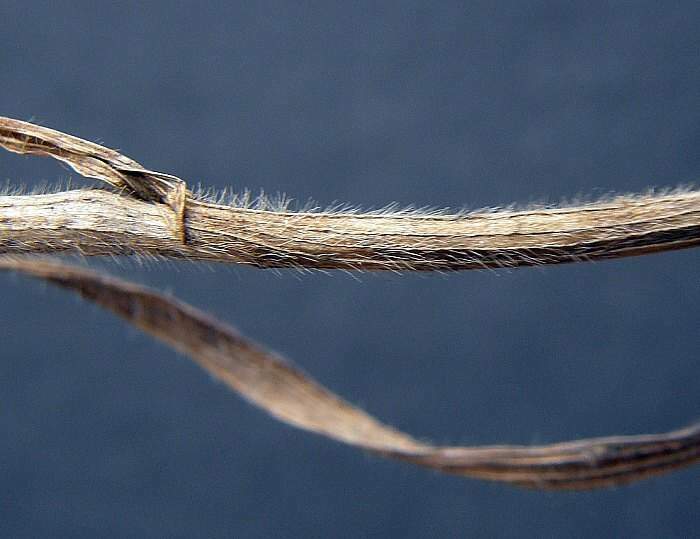 Bromus commutatus hairy sheath, leaf, and stem. photo by Enrico Romani.liurig.altervista.org (Accessed 11/2017). Leaves alternate, blade 0.1-0.7 cm wide, flat, finely hairy. 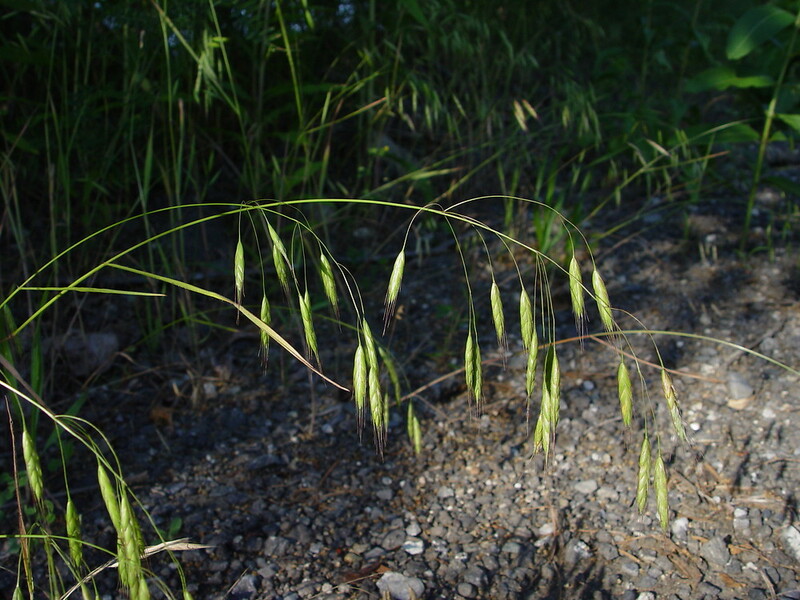 Flower spikelets 1-3 per branch, 4-10 flowered, 1-1.8 cm; glumes finely hairy or minutely bristly, slightly unequal, about 0.6 cm long; lemma 0.7-1 cm long, veins faint, apical teeth to 0.2 cm, awns 0.5-1.2 cm, more-or-less straight; palea much shorter than lemma; inflorescence 4-12 cm, open, broad, branches stiff, (not drooping), mostly longer than spikelets; blooming and fruiting June-early Aug.
Bromus commutatus spikelets. creative commons. biolib.cz (Accessed 11/2017).